The detailed picture has 24 little doors that open. Each door has a little picture behind it. 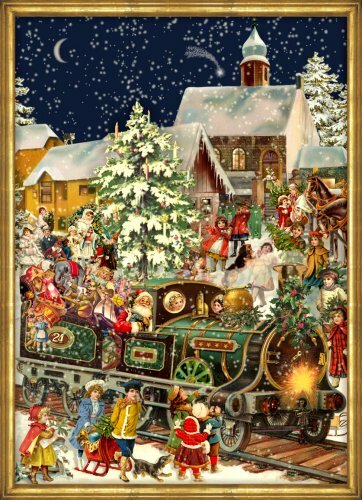 The tradition is to open one door each day from December 1 through December 24th. Children love to open a door a day as they count down to Christmas. Card has Glitter. 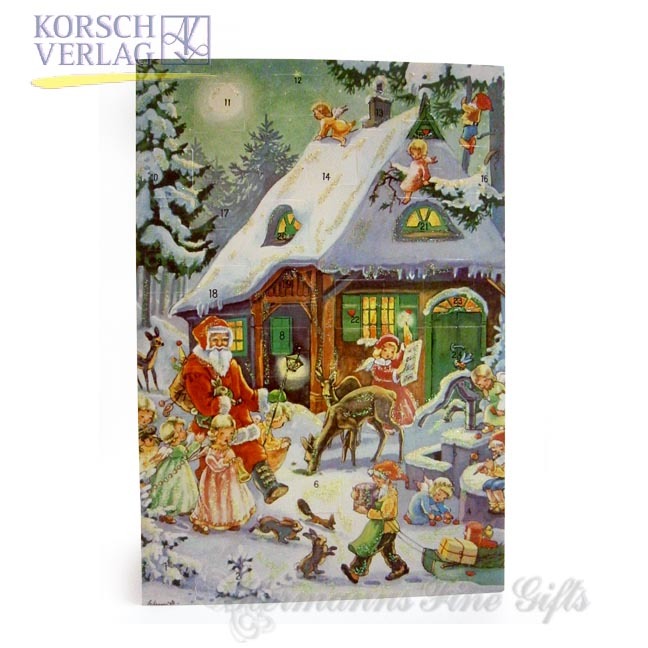 Old German Paper Advent Calendar with envelope for mailing.